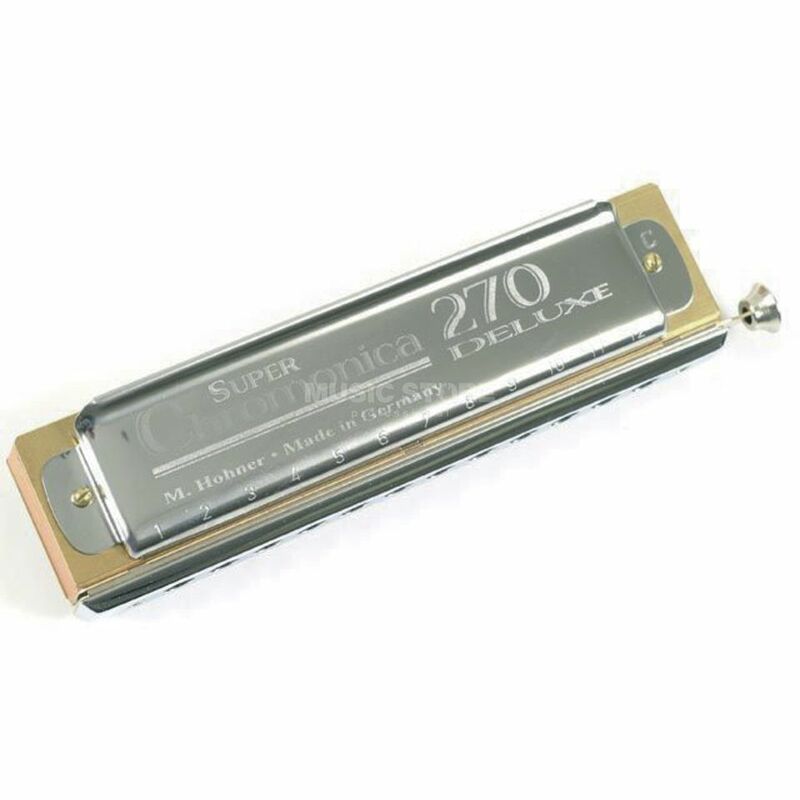 The Hohner Super Chromonica Deluxe 270/48 48-Tone Harmonica has set standards for chromatic harmonica manufacturing for several decades. Loved by professionals, it is the instrument which is most frequently recommended by teachers all over the globe. The simple construction makes it an affordable, compact and reliable instrument. The beautifully crafted pearwood comb is optimized to great response over its complete range, from the mellow low octave to the bright and clear top octave. Great product, sounds beautiful, can bend the chords, ordered from Scotland, got delivered to America where I am working on a cruise ship. No problem ehat so ever.quick delivery even to America..!! Superb ..!